Those are some pretty hefty claims, and it would take some pretty hefty research to back them up. Fortunately, James DiNicolantonio, PharmD, has done the heavy lifting for us in his new book, The Salt Fix: Why the Experts Got It All Wrong--and How Eating More Might Save Your Life. That’s an ambitious title, but after reading the book, you might find it hard to refute. Before I get into the review, in the interest of full disclosure, allow me to declare that I received a courtesy copy of this book. I also collaborated with Dr. DiNicolantonio on my very first peer-reviewed journal article, so obviously, I respect him and his work. That being said, if I thought the book was lackluster, I’d tell you so. Fortunately, that is not the case, so I can give you my honest assessment of the book and still stay in my friend and colleague’s good graces. 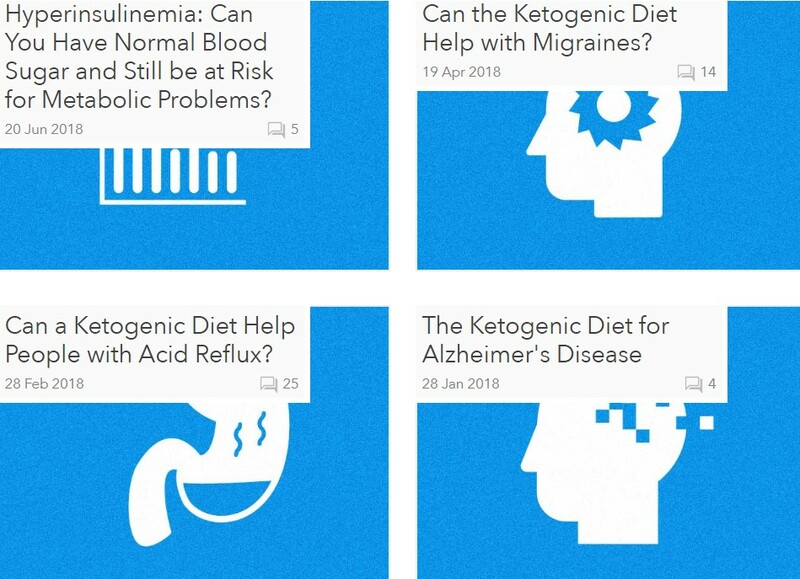 If you read my blog because you follow a low carb, ketogenic, or Paleo-type diet (or are thinking about starting one), then you probably already have an understanding of how we, as a society, were misled regarding the supposed dangers of dietary saturated fat and cholesterol. In fact, even with tons and tons of evidence to the contrary, the medical powers that be are still trying to convince us there’s something inherently deadly about saturated fat. (They’re wrong.) We were also misled somewhat about the health-promoting effects of whole grains and polyunsaturated vegetable oils, and if we were looking to lose weight, we were inundated with advice to cut calories, especially from fat—more advice that failed countless numbers of us. Considering this unblemished track record of wrongness, we have to ask ourselves if “the experts” got it wrong on sodium, too. Dr. DiNicolantonio certainly makes a strong case for exactly this. If you’ve long since abandoned fears about consuming egg yolks, butter, and beef, but trepidation lingers about sodium and you find yourself buying reduced sodium bacon or other low- and no-salt items, this book is for you. And if you have family members with hypertension (high blood pressure) who’ve banished the salt shaker from the kitchen table under doctor’s orders, this is even more for them! Even though salty foods are delicious—and we could say the same for foods that are high in protein and fat, like a ribeye steak or a fatty pork chop—we eventually reach a point where we don’t want anymore. When you’ve had enough meat and enough salt in the acute setting, you don’t want any more of them, and you might even become actively repulsed by the idea of eating more. (You still like these foods, but you don’t want to eat any more of them at the moment.) But this doesn’t happen with sugar. You can eat and eat and eat, and keep eating. You never really reach a “shutoff” point like you do with salt, fat, and protein. 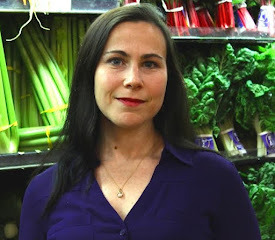 (In fact, even when you’ve reached that point with fatty meat, and you feel like you’d vomit if you had to eat another steak, if someone set a piece of chocolate cake or peach pie in front of you, you could probably find room for a few bites all of a sudden!) I could eat close to an entire package of chocolate chip cookies, and the only reason I’d eventually stop is because I’d be in physical pain or become overwhelmed by self-loathing, or both. But I don’t actually feel satisfied. Not so with salt! When your body needs sodium, salt will taste good to you. But you do eventually reach a point where you don’t need any more in that moment, and salty foods will taste too salty. They will not be desirable to you. 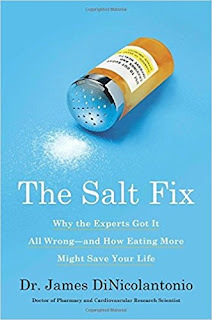 The human body is very good at regulating its sodium intake, as Dr. DiNicolantonio emphasizes throughout the book, and bad things—very bad things—happen when we override our natural instincts and intentionally reduce our sodium intake. There’s a reason animals go to great lengths to find salt deposits and salt licks, and why ancestral populations made sure to have a steady supply of salt, whether from marine animals and plants and evaporated saltwater, or from a land-based source. The second thing to know—and hopefully you already do—is that adequate sodium intake is maybe even more important for people on low carb and ketogenic diets. I’ve written about this before: the number one contributor to hypertension is hyperinsulinemia, not salt intake. Insulin influences the way the kidneys reabsorb sodium. Higher insulin leads to greater sodium retention. And there’s a saying in human physiology: “Water follows sodium.” Meaning, if high insulin is causing the kidneys to retain sodium, then more water has to be retained as well, in order to keep the concentration of sodium in the blood at a healthy level. More water in the blood means a greater blood volume, and if we have a greater volume of blood flowing through the same amount of blood vessels, then the pressure goes up—especially if the blood vessels have already been made stiff and unaccommodating due to glycation from constant hyperglycemia. You can see now why a paper Dr. DiNicolantonio co-wrote has one of my favorite titles on this subject: The wrong white crystals: not salt but sugar as aetiological in hypertension and cardiometabolic disease. “The wrong white crystals!” Classic! When you are on a low carb or ketogenic diet—and your insulin levels are presumably very low most of the time—you need more sodium in your diet, because your kidneys are inclined to get rid of it. Low salt intake is the kiss of death on a low carb diet. Feeling fatigued, lightheaded, dizzy, getting weaker at the gym, or just plain feeling “blah?” Lots of things could be at work here, but the first and easiest thing to do: GET MORE SALT. You’ll also need a bit more salt if you’re a caffeine junkie, like I am. Diuretic beverages don’t just flush out water; they flush out electrolytes, too. I’ve actually started adding a pinch of salt to my beloved coffee, and I know it sounds weird, but I have to say, it’s delicious. Hypertension deemed “idiopathic”—meaning, there’s no obvious cause for it—is most often due to chronically elevated insulin, which is why it’s one of the criteria for diagnosing metabolic syndrome (which should be renamed insulin resistance syndrome). Not eating enough sodium could actually cause higher insulin secretion and weight gain? It’s even possible that people with high blood pressure could benefit from more salt, rather than less. A “high” salt intake is rarely the cause of hypertension, but too low a sodium intake can most definitely contribute. Since sodium is so essential for a multitude of biochemical processes, when intake is inadequate, the body will overcompensate in order to ensure it has enough of this most critical electrolyte, and this overcompensation can result in elevated blood pressure. As the quote above says, there are other hormones that get activated when the body needs sodium, and if dietary intake is especially low, these hormones get secreted in higher amounts in order to hang onto every last molecule that is consumed. But holding onto sodium isn’t the only job these hormones have. Just like with insulin, or thyroid hormone, or growth hormone, hormones have multiple jobs, so whatever other things these salt-retaining hormones do will also be done, and be done more, when levels are elevated. So you can suffer whatever unpleasant and potentially harmful effects come from this, or, as Dr. DiNicolantonio suggests, you could use your natural inclinations as a guide and consume plentiful salt, thus sparing your body from having to activate this arsenal of emergency-situation hormones. DiNicolantonio quotes Robert Heaney, MD, from a paper titled Making Sense of the Science of Sodium: “Demonizing sodium is not only unsupported by evidence but is counterphysiological as well, as it ignores sodium’s most basic function in mammalian bodies.” (p.70) Heany recommends a sodium intake of 3000-5000mg per day. This is far higher than typical U.S. government guidelines and guidelines for those who already have hypertension or T2 diabetes (usually 1500-2300mg/day). Ah, yes, Good ol’ inertia. Wrote about that here, with regard to saturated fat. Disclaimer: Amy Berger, MS, CNS, NTP, is not a physician and Tuit Nutrition, LLC, is not a medical practice. The information contained on this site is not intended to diagnose, treat, cure, or prevent any medical condition and is not to be used as a substitute for the care and guidance of a physician. 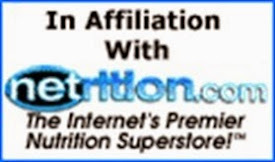 Links in this post and all others may direct you to amazon.com, where I will receive a small amount of the purchase price of any items you buy through my affiliate links. GOOD GOD, thank you for letting me know. Love it. Trying to get my copy from Brazil. We have little content about that in Portuguese . your site is wonderful! From another source this should reduce the confusion about grams of sodium and grams of sodium chloride. 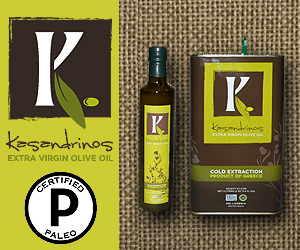 "There is no scientific or physiological support of a restriction of the salt intake. There is no scientific or physiological support for a relationship between salt intake and blood pressure. Sodium is essential and we have to ingest the same amount of sodium that we lose every day to avoid disease and premature death. Any ingested excess of sodium is immediately excreted without changing neither the blood concentration of sodium nor the blood pressure. Based on a pragmatic evaluation of the available data, a sodium intake of minimum 130 mmol (3 g) per day (7.5 g salt) would be prudent at the population level. The current average sodium intake in the Nordic countries can be estimated at 4-10 grams (170-425 mmol per day, 10-25 g salt)." Amy - thank you for bringing this topic to light. No matter how many times I try to discuss this with my boyfriend, he still clings to medical "advice." I'm glad he now has an authority with a different perspective to consult. Oh, nice. :) And thanks for the shout-out! Aloha, I love your posts! The link at the bottom here, to DFH "lo-sodium cracked up to be" is a 404, link should be to /node/599 ... not a problem though, coz I found other interesting blogs while looking for your salt post there! 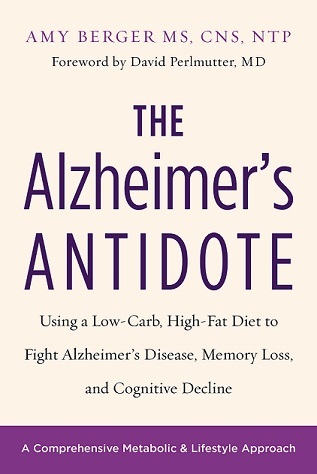 I just finished reading Dr Bredesen's Alz book and am now reading yours! Thank you. I think the entire site for blogs at DFH has been down for a few days for maintenance. Very irritating! Should be back up soon...I hope. And thanks for checking out my book! I hope you find it helpful. Hi Peter, thanks for reading. Yes, I'm guilty of using "salt" and "sodium" interchangeably. The body needs both nutrients in table salt -- sodium and chloride. You can get sodium and chloride from ANY table salt. As far as I know, the main concern with "normal"/conventional table salt is that might be contaminated with anti-caking agents, bleaching agents, etc. Honestly, for me, personally, this is a non-concern. I just don't care all that much about it.